Tempers continue to flare between two camps in Nsanje north constituency over who becomes governing Democratic Progressive Party (DPP) parliamentary cadnidate ahead of the May 21, 2019 tripartite elections. The camps, in the predominantly DPP constituency, belong to incumbent MP, Esther Mcheka Chilenje and famous businessman, Enoch Chizuzu. This was clearly evident at a meeting held at Fatima Trading Centre during a whistle-stop tour in Chikwawa and Nsanje on Thursday, September 20, 2018, by DPP southern region vice president Kondwani Nankhumwa. Members of both camps sang songs of praise for their respective ‘candidates’. Both Chilenje and Chizuzu attended the rally. Mcheka Chilenje, who is also deputy speaker of Parliament, won the Nsanje east seat in 2014 on an independent ticket. She recently announced she had joined DPP, creating heated competition with Chizuzu, who claims to be the “genuine DPP candidate”. Nankhumwa played down this was a “fight”, arguing it was just “democracy at play”. Nankhumwa invited Chilenje and Chizuzu to the podium and held their hands high to promote unity between them. He encouraged DPP members to love one another as children of one family and discouraged “backbiting and petty jealousy” but to remain united to ensure that the party registers a resounding victory in 2019. Nankhumwa said he had brought “a message of hope from President Professor Peter Mutharika amid serious shortage of food”. He said government acknowledges that people in the Lower Shire Valley are in urgent need of relief food following combined effects of the fall armyworms outbreak and dry spells. “The President is well aware that the people are in urgent need of relief food and that government would soon start distributing relief food, including cooking oil, sugar and salt. President Mutharika will not allow that anyone dies of hunger,” said Nankhumwa. He said government is devising other short and long-term solutions to the food shortage problem, which include promoting irrigation and winter farming. The DPP guru observed that the food crisis was as a result of natural disasters such as flush floods, drought as well as fall army worms, which caused crop failure in the 2017/2018 farming season. Nankhumwa also said that another huge problem is lack of safe drinking water in most rural communities in the Shire Valley, resulting in people fetching drinking water from unsafe sources. “We’re aware that women walk long distances to fetch clean drinking water. They are unable to carry out other economic activities that would bring money into the household. 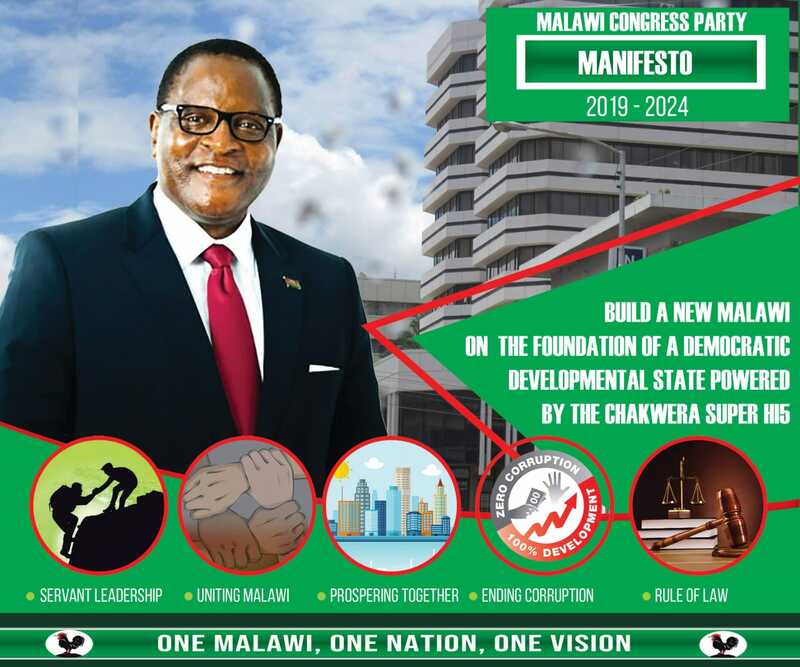 While the DPP government has sunk many boreholes in the Lower Shire, President Mutharika has directed that more boreholes be constructed in Nsanje and Chikwawa,” said Nankhumwa. He encouraged people to give President Mutharika full support and vote for him as President of this country in 2019. “You must also support the ruling party, DPP, and, therefore, vote for DPP MPs and councillors during next year’s tripartite elections. Please, register en masse as voters in order to exercise your birthright to vote in 2019 to choose right leaders and government,” he said. Other speakers at the meeting included Mcheka Chilenje, DPP spokesmn Nicholas Dausi, T/A Mlolo of Nanje and DPP southern region governor, Charles Mchacha, among other members of the party’s national governing council. God will punish this lady in the name of Mcheka chilenje because she has been the one behind the passing of DPP notorious bill in parliament…..do not cry mcheka time has come for you to be rewarded.uzimuona Kaliati pano akuti akazalowa mu boma ndi Chilima azapanga Bungwe la ACB kuyima palokha koma pa nthawi imene a MCP olikonda ziko la Malawi atalowesa motion imeneyi iye kaliati ndi azake achina Masangwi anavota nawo kuti ‘NO’. So zikomo with your stupidity you think that’s a good reason enough for God to punish her? Who are you to decide what God must punish people for? Baasi ukungoona ngati Mulungu ndi choseweretsa chako? Ndi akhristu ngati inu amene anandipangitsa kuti ndisiye kukhulupilira dzipembezo, mumamutenga mulungu kukhala choopsezera anthu. Iwe ngati sunakondwe ndi zosatira za bill sizikutanthauza kuti wenanso sanakondwe wamva. Tsono pokhala Mulungu ndi mlengi okonda ana ake onse sizingatheke kuti atenge kusakondwa kwako kuti alangire nawo wena chikhalirenicho panali wena omwe anakondwa ndi dzosatira za bill. Chakuti chamako Namalomba werenga bwino lomwe point ya Zikomo, osangotengapo nkhani imodzi iyayi. Kodi ukufuna kundiuza kuti point yomwe ndatsutsana nayo mu comment ya Zikomo ndangoyipeka? Kodi akati God will punish this lady in the name of Mcheka Chilenje akutanthauza chiyani? aaah iwenso pachiphwisi pako ndithu.